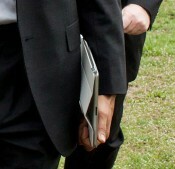 President Barack Obama with Presidential iPad 2 3G getting on Marine One helicopter. We know that President Obama has iPad (and a computer). But what version is it? Tuaw reports the photo proof. There is no heavy football briefcase in sight. 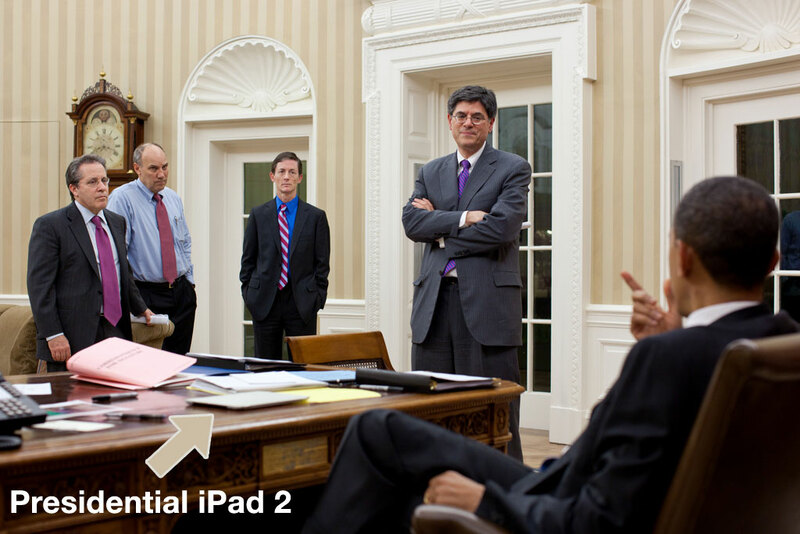 Maybe it’s replaced by an app on the presidential iPad 2? This entry was posted on Monday, April 25th, 2011 at 4:42 pm	and is filed under Celebs with Macs, iPad. You can follow any responses to this entry through the RSS 2.0 feed. someone ought to send the President an extra sticker! 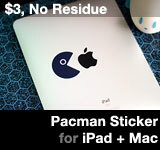 Yeah he totally needs a new Pacman sticker. Huh? “No heavy football briefcase in sight”??? The picture only shows the Pres. He never carries the codes case. A military attaché has the case. There’s no sight of the military attaché in the photos thus no football ‘in the photos’. Nuclear codes? There’s an app for that! Except a few times when they are left behind accidentally, there is always an attache with the President. 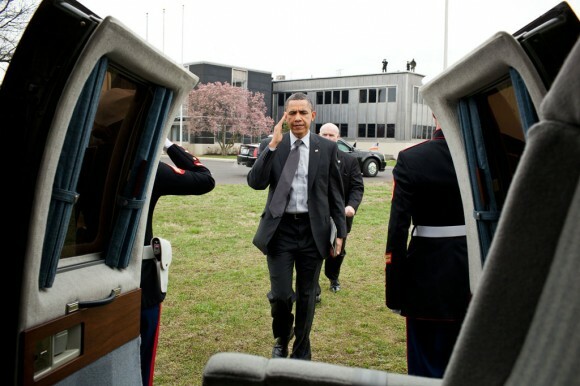 The military aide is probably seated next to the photographer in the Marine One picture.